Truth be told, I wasn’t aware Sony was still producing cassette Walkmans. But the company today announced it will stop manufacturing and selling these devices in Japan – after 30 years. Sony says the final lot was shipped to retailers in April this year, and once the last units are sold, there will be no cassette Walkmans from big S anymore. The first Walkman was produced in 1979. The picture shows the TPS-L2, the world’s first portable (mass-produced) stereo, which went on sale in Japan on July 1 that year and was later exported to the US, Europe and other places. 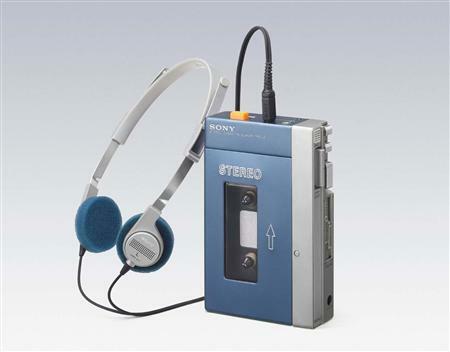 Sony says that they managed to sell over 400 million Walkmans worldwide until March 2010, and exactly 200,020,000 of those were cassette-based models. What’s interesting is that the company will not stop manufacturing CD and MD-based Walkmans (needless to say, the same goes for their flash memory-based models). Chinese makers are expected to continue selling Sony-branded cassette Walkmans outside Japan, i.e. in Asia and the Middle East. Sony pulled the plug on another 30-year old technology, floppy discs, in April this year.